Purchasing life insurance after a heart attack can be difficult, but not impossible. Heart disease is the leading cause of death in the United States. Life insurance companies are well aware of this and charge higher rates for those who have had a heart attack. In many cases, they will deny coverage to an heart attack patient because they know the risk of having a second heart attack is even higher. You'll have to speak to a life insurance specialist to explain your situation in detail. You can still purchase life insurance, however, but you must be prepared to pay more. One of the best ways to do this is by following doctor's orders and having solid medical records to show to the life insurance agent proving you are following orders. This can make a difference, though it really depends on the insurance company. If you have had a heart attack, or have heart problems, you may want to rush right out and buy life insurance, but this is not always the smartest move. If time passes and you've been fine, insurance companies are far more willing to lower the rates. Applying right after you leave the hospital will cause your rates to skyrocket. 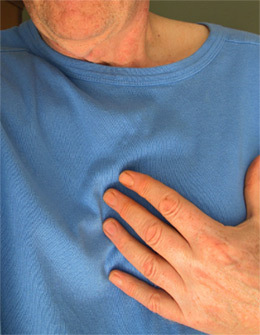 Insurance companies will tack on a heart disease surcharge that adds a flat rate to the already high insurance premium. They also may put in a rider stating that they will not pay if your death is caused by heart disease. The longer you wait to purchase the insurance policy, the more opportunity you have to prove to the company that you've made incredible strides to improve your health. For smokers, this can mean quitting cigarettes. Overweight people can focus their attention on losing weight and getting into shape. For those with cholesterol problems, they can get their cholesterol levels lowered. All of these actions will help to lower your payments. Rates for a fifty-year-old male who has had past heart problems typically start at $250 a month for a $250,000 term life policy. Companies will base the final rate on your answers to the health history questions. Women face lower rates, though they are still going to be much higher than someone else would pay. No matter how long about the heart attack occurred, any life insurance will offer you their standard rate, meaning you receive no discounts for good health. It's a waste of time to even try to negotiate a better classification because you'll never get it. Customers often ask us questions like "Can you get life insurance after a heart attack? ", "Can I get life insurance after a heart attack? ", "Can you get life insurance with heart disease? ", we always answer, it depends on you particular situation. Find out today!